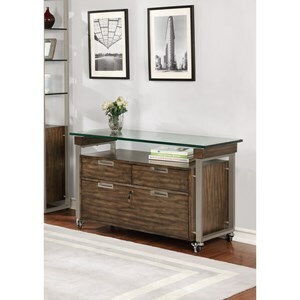 Showcasing clean lines and sleek materials like glass and metal, the Soho office collection brings modern edge to any home office or workplace. 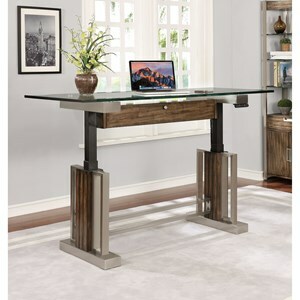 The collection offers an adjustable height desk in two sizes to best suit your office space and needs. Smart function like power wells and programmable height settings ensure ease of use, while glass tops provide an easy-to-clean surface. Additional storage pieces in the collection give you everything else you need to complete your office. 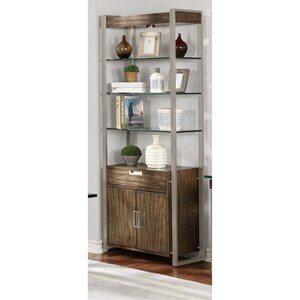 Browse other items in the SOHO collection from Wayside Furniture in the Akron, Cleveland, Canton, Medina, Youngstown, Ohio area.